These days, owning property is no longer a luxury but a necessity. A house or a shelter is one of the human basic needs. However, there are times when we have to move out of our places, voluntarily or involuntarily. And usually, at least a month’s or two week’s notice is needed. Tenant eviction is what everyone wants to avoid, although we must admit sometimes people have to undergo these rough times. It is a part of the cycle of man’s pursuit for happiness and, like many things, paperwork is involved. In this article we will be discussing more on what sample notice to vacates are and why they are served. 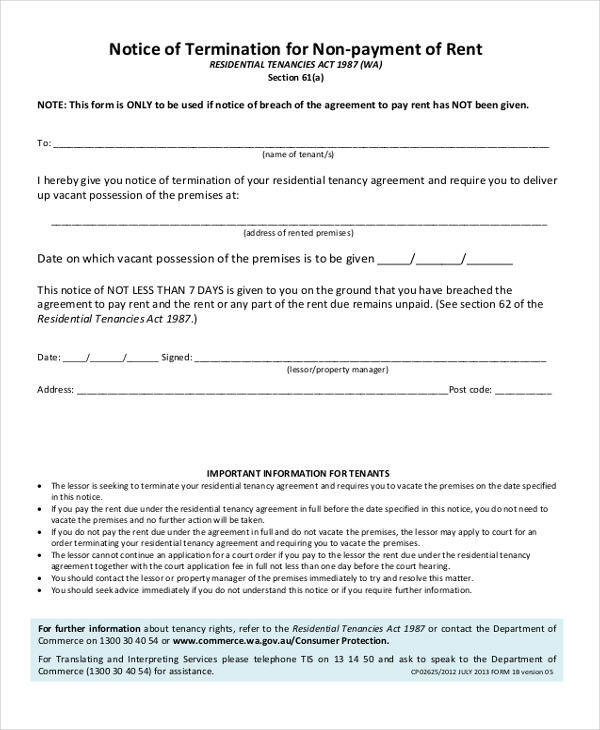 A notice to vacate is any written document that contains instructions to empty a property. Property could be referred to as an apartment, a house, or an office space. Just like any notice in word, it is served beforehand as an instrument for reminder. 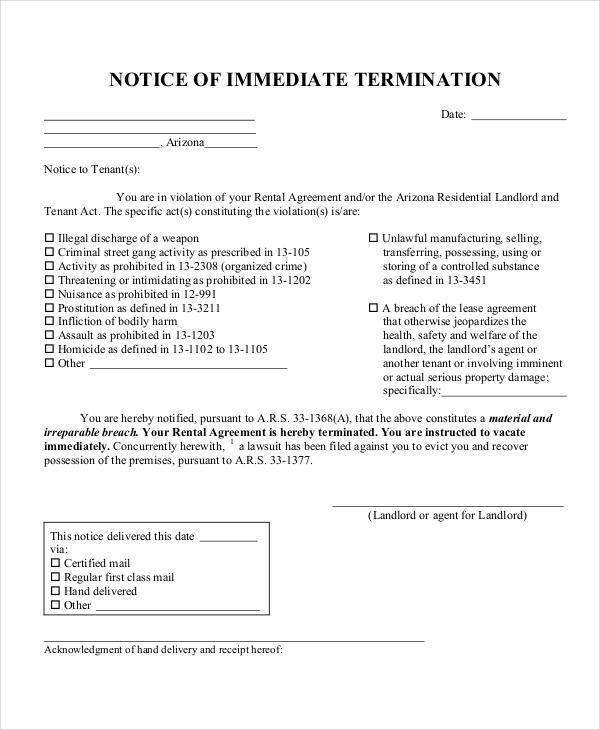 Usually, a notice to vacate is not only a right bestowed to landlords or property owners but also of its tenants. The latter can voluntarily decide to vacate or move out of a place as long as he/she wishes according to the terms and agreements of the lease. When you write a notice in pdf, you have to bear in mind some basic etiquette and standards on how to write one. 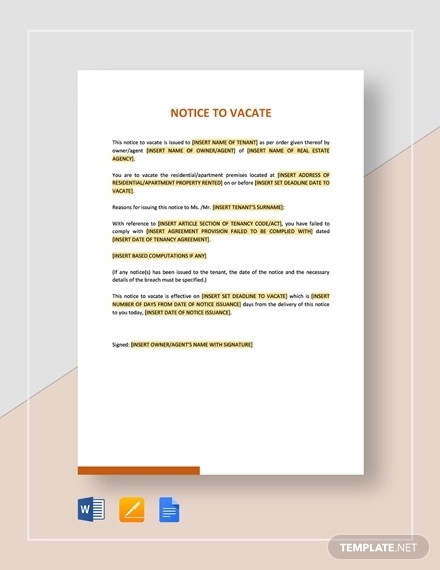 Here are some tips on how to write a notice to vacate. Use polite language. 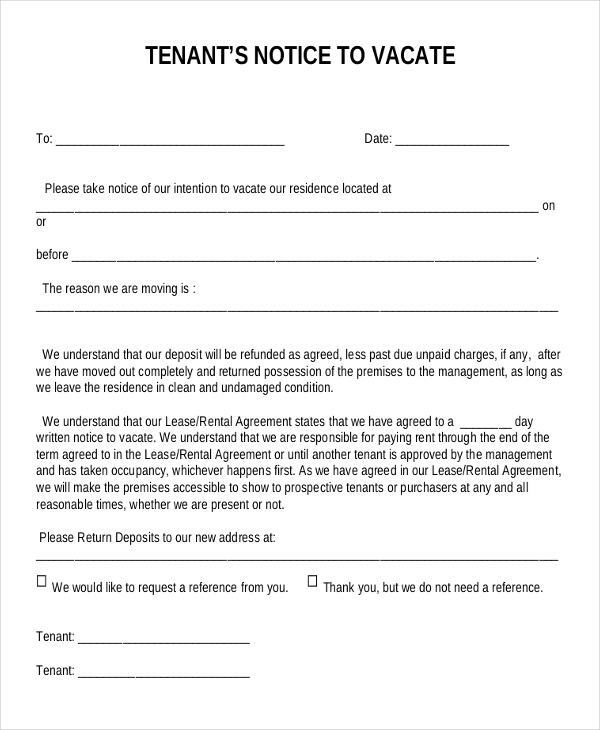 Whether you are the landlord asking your tenant to vacate the unit for some legitimate reason (see late rent notice), be polite in expressing your interest. Include the date and reason. 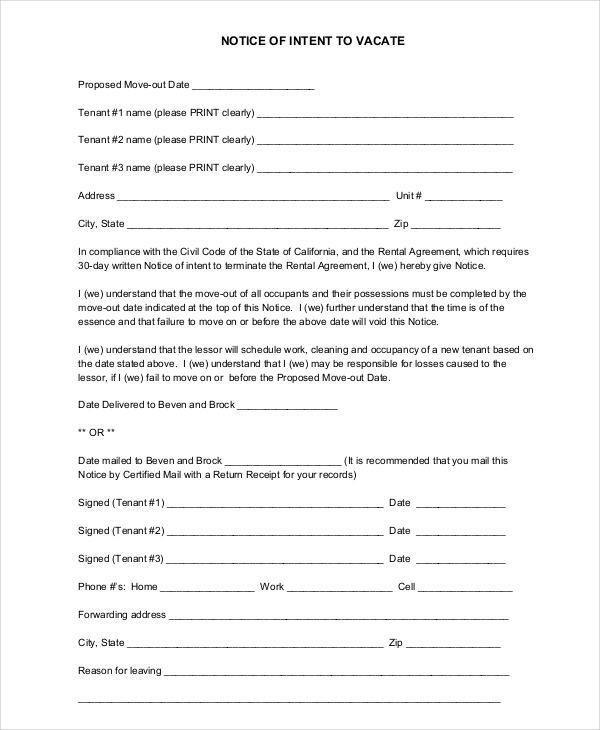 Make sure to write the date as to when the tenant should be leaving the place and state a reason why so it would make the decision justifiable. Write your contact number and forwarding address. This is important in case, after you left the place, someone you know looks for you or sends you mail to your old address. When Is the Time to Send a Notice to Vacate? The very nature of a notice would probably explain the answer to this question. Nevertheless, it is still important to set parameters for each notice that we give. 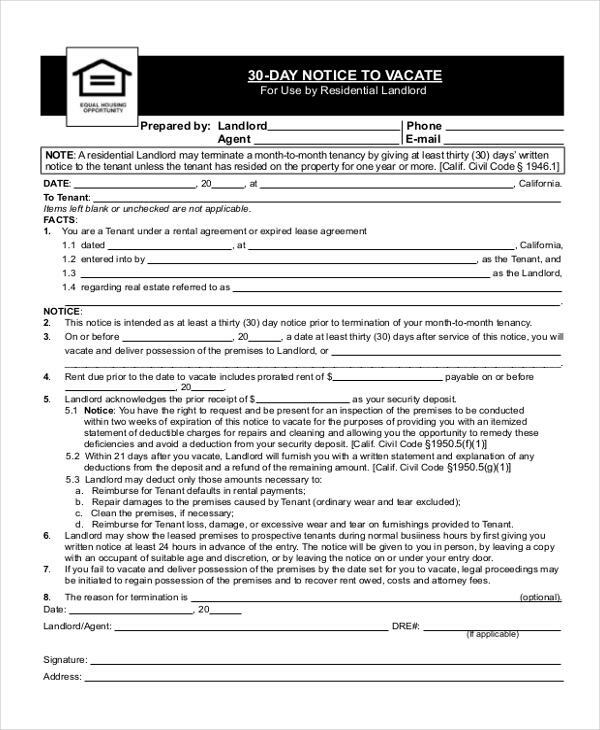 A notice letter to vacate is usually given or handed out at least two weeks to a month before the actual date of leaving. This is to properly arrange any unsettled debts or agreements. On the part of the property owner, tenants who decide to vacate the place need to follow this time frame in order to find replacements to occupy the place as soon as they leave. What Is the Purpose of a Notice to Vacate? 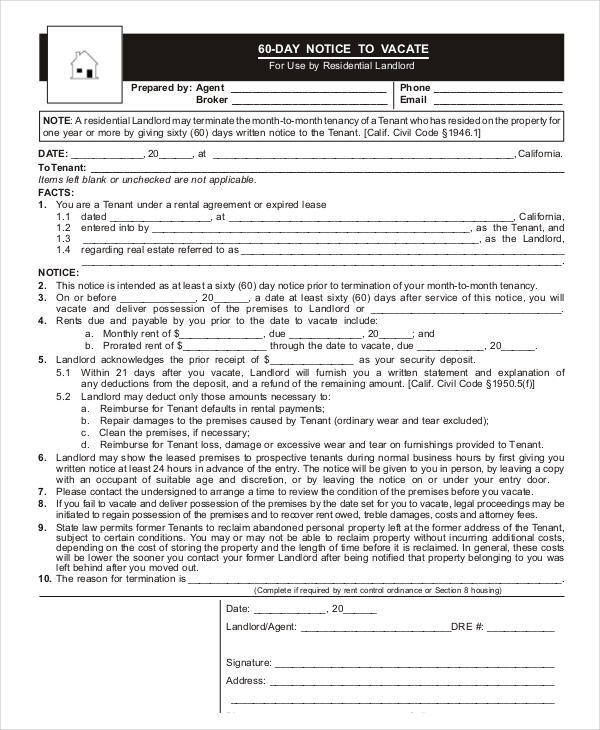 Whether it is a tenant notice or a landlord notice to vacate a property, the purpose is one and the same. A notice to vacate allows both parties to settle any or all agreements, legal or personal. 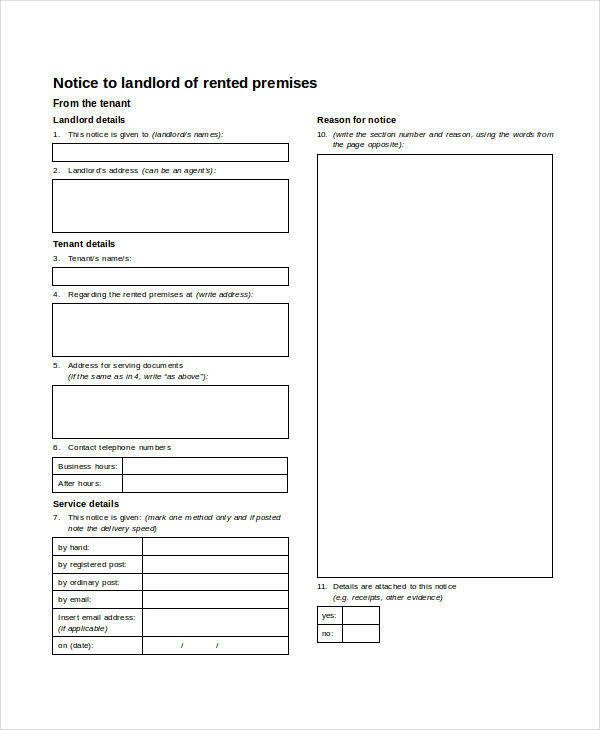 Some landlords use a notice to vacate as a signal to conduct any necessary perusal on the property. This allows them to properly assess the place for any damage which the tenants may be liable to pay depending on the signed commercial lease agreement. Lastly, a notice to vacate provides an sample time for any preparations necessary for the departure.